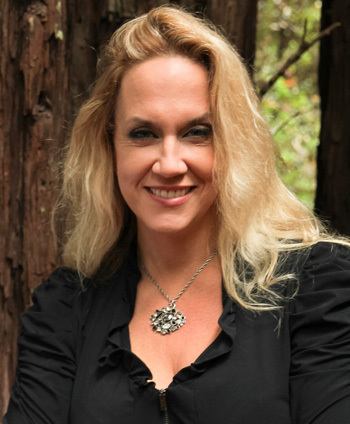 The organizers of the 15th annual Game Developers Choice Awards (GDCA) have announced that Brenda Romero, director of the UC Santa Cruz Games and Playable Media master's program, will receive the GDCA Ambassador Award honoring a person who is helping the game industry "advance to a better place." Game Developers Choice Awards are the premier accolades for peer-recognition in the digital games industry, celebrating creativity, artistry, and technological genius. Open nominations are invited from industry professionals from around the world, ensuring that the recipients reflect the community's opinions, and winners are chosen by an advisory committee. The 2015 awards will be given at a ceremony produced by the Game Developers Conference (GDC) and presented by Gamasutra.com on Wednesday, March 4, at GDC in San Francisco. The gala event is held in conjunction with the Independent Games Festival in the Moscone Convention Center. The Ambassador Award is one of three special awards recognizing "innovation and excellence in the art of making games." In particular, this award honors "an individual or individuals who have helped the game industry advance to a better place, either through facilitating a better game community from within, or by reaching outside the industry to be an advocate for video games and help further our art." A game designer, artist, writer, and creative director who entered the video game industry in 1981 at the age of 15, Romero has received many honors for her contributions to the game industry. She has worked with a variety of digital game companies as a game designer or creative director, including Atari, Sir-tech Software, Electronic Arts and numerous companies in the social and mobile space. Romero came to UCSC in January 2013 as the first game designer in residence at the Center for Games and Playable Media and was later hired along with John Romero to lead the professional degree program. The M.S. in games and playable media is a yearlong (12-month) degree focused on combining technical and design innovation. The game design programs at UC Santa Cruz are ranked among the top programs in the country.